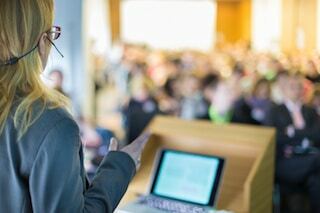 When preparing for an event like a seminar or convention, there are many tasks that will need your attention. In the rush to get everything ready, it’s easy to overlook how to organize name badges. Though it may not seem important, distributing name badges is a vital part of the registration process. One of the key benefits of attending a conference or seminar is networking and that ever important face-to-face meeting; something that’s much more difficult to do when attendees don’t have name tags. 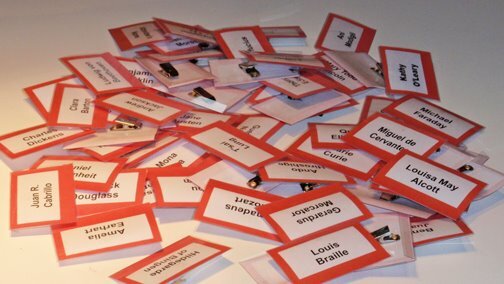 It’s best to have a clear plan in place for organizing and distributing name tags well before your event begins. 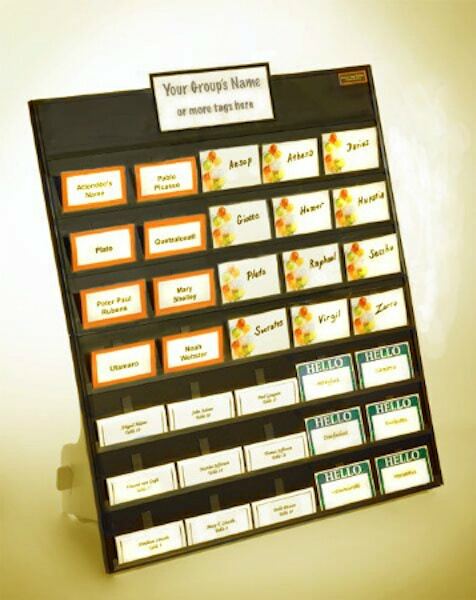 To help you be more prepared, here are a few tips on how to organize name badges. These days, there are several options for issuing conference name tags. Some companies promote having attendees print their own name badges at registration. This might seem like a good way to keep name tags organized, but the reality is that self-printing causes more problems than it solves. Having participants print their own badge is actually very time consuming. If you offer self-printing stations, it’s likely that you’ll end up with extensive lines, long wait times, and frustrated guests. Some conference organizers think self-printing is a viable option because it cuts back on the amount of work that staffers do. But is that really true? What happens if something goes wrong at the printing station? What are you supposed to do with attendees who aren’t very tech savvy? Any besides, your focus should be on providing the best experience for your patrons instead of what is easiest or less work for your staff. How to Organize Name Badges: Your focus should be on providing the best experience for your guests. You’re going to need multiple people on hand to help guests print out their name tags, so you’re not actually saving any resources at all. To avoid long lines and last-minute technological issues, all you need to do is print the participant name badges several days before the event. Some conference organizers like to mail out all vital materials, including name tags, prior to the event. It’s easy to see why this option could be appealing – it equals less work on the first day of the event. But there is one major issue with this option – conference attendees are human and, therefore, fallible. What are the chances that every single participant will remember to bring all their materials? It’s best to hold on to all the materials and distribute them on the first day of the event. You might think this is a pretty basic tip for how to organize name badges, but it’s a necessary one. Have you ever been to a conference where they grouped materials and name tags by company, table, or guest room? If you have, you surely noticed how difficult it was for staffers to keep everything in order. If you want to make registration and name tag distribution as easy as possible, don’t get to complicated when organizing your badges; keep it simple and keep them in alphabetical order by last name. 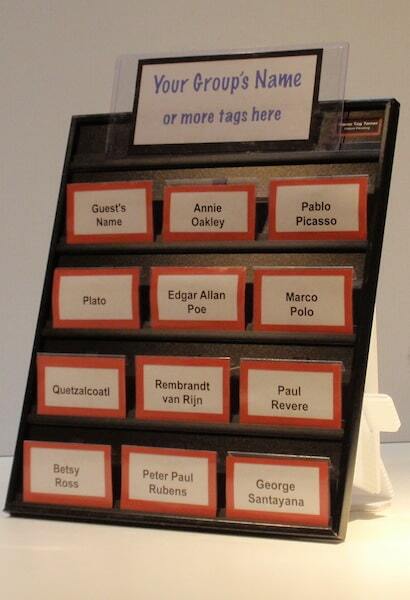 If you’re expecting 40-50 participants or more, you’d be better off placing your name tags in more than one spot. If you have all the name badges situated at the same table, you’ll end up with a long line of guests waiting to register and get their materials. To avoid this issue, try grouping tags together alphabetically and arranging them in separate locations. One possible grouping arrangement would be A-H, I-Q, and R-Z. The more attendees you have, the more groupings you’ll want to use to prevent crowding at registration. 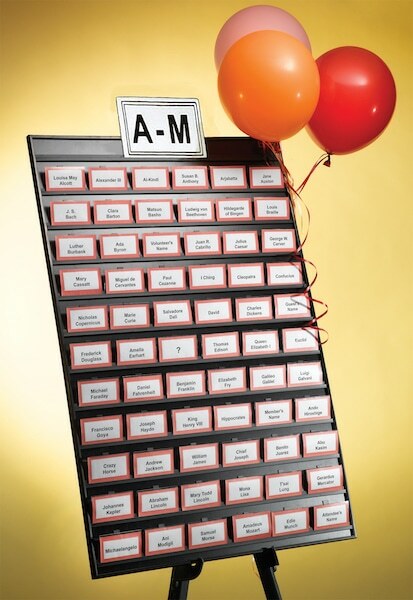 Another great tip on how to organize name badges is to allow guests to retrieve their own. 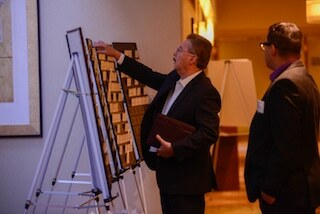 Conference staffers often have trouble finding name tags in a timely manner – they have to look through a table full of badges in order to find the right one. 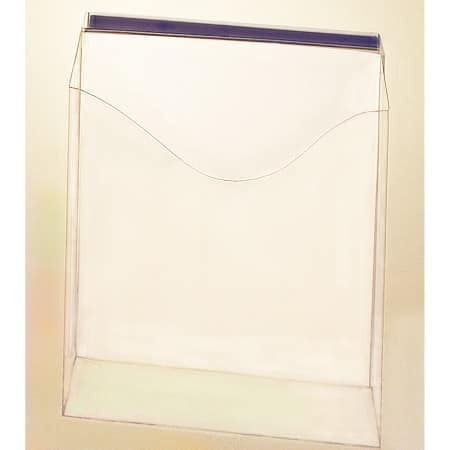 Instead of having a staffer waste time looking, it would be much easier to have participants locate their own name tag on a name badge display board near the registration area. If you want to start your event off right and make a good impression on attendees, it’s important that you know how to organize name badges. 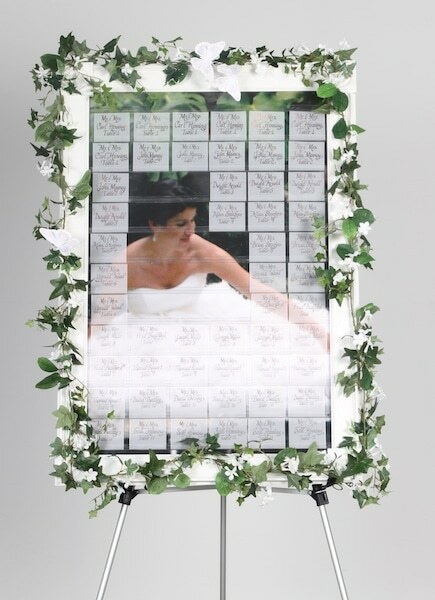 Make sure that you have an effective plan in place for organizing and distributing name tags long before you set up the registration table and welcome your first guests. 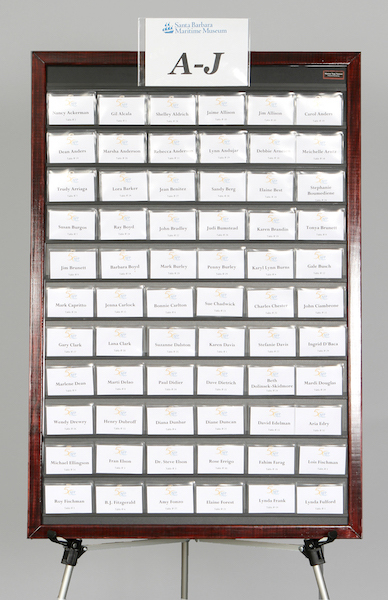 Easy Event Hosting has thoroughly researched all the challenges of how to organize name badges. 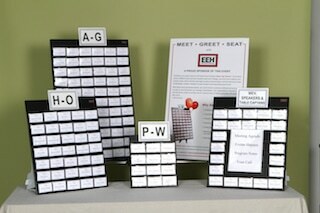 After design, testing, and development EEH has produced a wonderful solution in its Name Tag Tamer® series product line. For questions or special orders you can reach EEH through the contact us form or by calling (805) 259-3835.